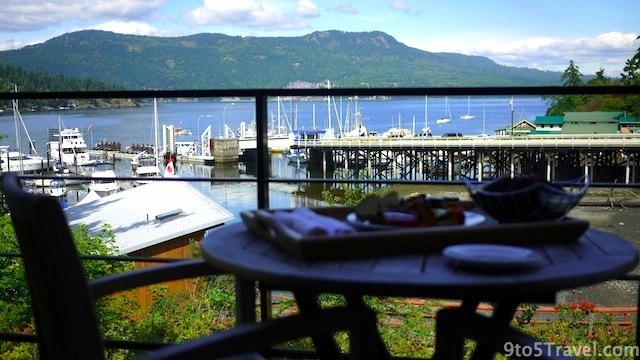 Located in beautiful British Columbia, Canada, Brentwood Bay Resort & Spa is Victoria’s only five-star oceanfront resort. Situated on picturesque Saanich Inlet in the heart of Vancouver Island wine country, this luxurious boutique property offers thirty-three rooms, aptly titled “OceanSuites” with their spectacular sea views. Designed with understated elegance and high attention to detail, our room was gorgeously appointed with a romantic fireplace and handcrafted furnishings. Fine Italian linens on our king bed and a spa-like bathroom with a massaging rainshower and jetted-tub for two, created a tremendously relaxing accommodation. Brentwood Bay Resort & Spa has all the amenities and services one expects from a five star hotel. Discerning service an essential part of the core values of his resort. For example, we were warmly greeted with glasses of perfectly chilled champagne upon check-in, followed by delicious, freshly-baked welcome cookies waiting for us in our room. This impressive resort offers far more than luxurious rooms and superb service. Its oceanfront heated pool, hot tub and aroma garden are soothing ways to unwind. And if you want to be completely pampered, then book a signature Vino Therapy package at the Spa — “The Finest Resort Spa on the West Coast”, according to Frommer’s Guidebook. This exclusive three and a half hour long experience uses unique treatments created with wine and grapes from local wineries. The Eco-Adventure Centre, located dockside at their Marina, is your entryway to exciting recreational activities and sightseeing tours in a pristine west coast setting. Partake in leisurely kayaking, canoeing and paddleboarding, or scuba diving at this internationally accredited PADI Dive Resort. World-class wilderness hiking and island wine tours in the Saanich Peninsula and Cowichan Valley are not to be missed. Their glass domed water shuttle is a comfortable and convenient way to get to one of Victoria’s top attractions, the world-famous Butchart Gardens. This scenic narrated eco-cruise takes you to the ‘secret backdoor’ in Butchart Cove, avoiding lineups at the gardens’ front entrance. Food & beverage options include local fine dining cuisine at Seagrille (read our review here), more casual fare at the Pub, and if you’re feeling in the mood to relax by your private fireplace or sit on your balcony and admire the panoramic view like we did, then room service is certainly available. 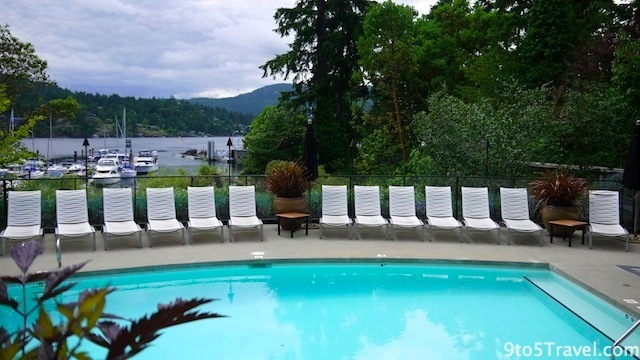 Our blissful stay was relaxing, intimate and indulgent, so as you can imagine, we thoroughly enjoyed our visit to the luxurious Brentwood Bay Resort & Spa. 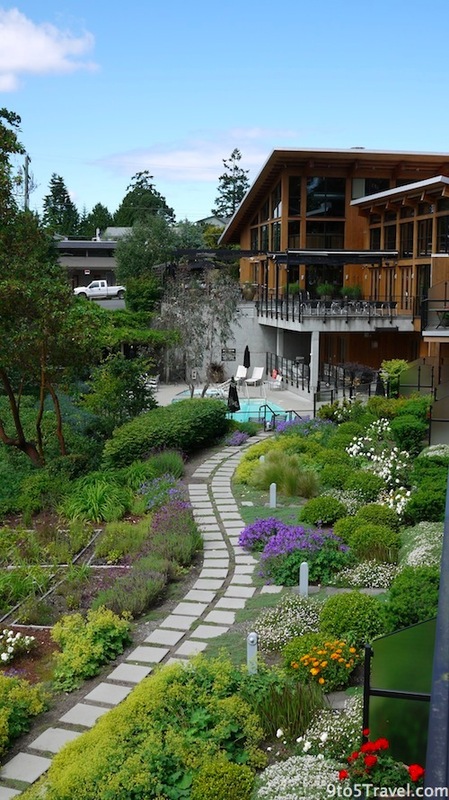 Plenty of other visitors also loved their experience at this top rated resort: Brentwood Bay Resort & Spa is honoured among the world’s best hotels as it was named in the top 25 hotels & spas in Canada by TripAdvisor in its 2012 Travellers’ Choice Awards. But you don’t need to take our word for it – book a say for yourself! Many thanks to Dan Behune and the Brentwood Bay Resort & Spa for our wonderful stay!